LaMarcus Aldridge of the San Antonio Spurs has been delivering although not along the lines on how a franchise player should. He is likely to play out the remaining years of his contract although the possibility of him moving at some point is not discounted. According to the Athletic, the 33-year-old had sounded off that he would want to eventually end his career with the Portland Trail Blazers. Aside from that, he also wants to play with Lillard again. Aldridge, the second overall pick of the 2006 NBA Draft, spent about eight years with the Blazers - four of which he played alongside Lillard who entered the league in 2012. And while the 33-year-old center is not scheduled to become an unrestricted free agent until 2021, the Spurs could opt to waive him before June 29, 2020. Either way, the point here is what lies ahead for Aldridge after his deal with the Spurs is up. Also playing a factor is the fact that the 6-foot-11 player spurned the Blazers for San Antonio back in 2015. 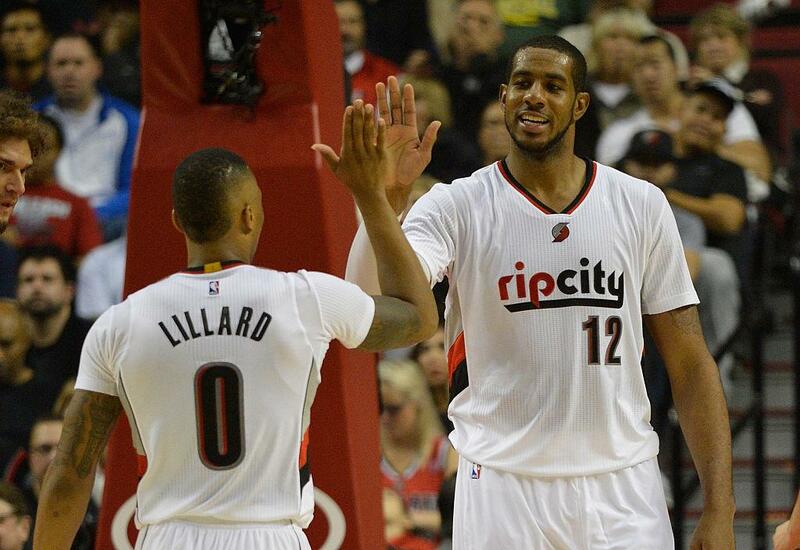 It will be interesting if the Blazers would still welcome Aldridge with open arms once he becomes a free agent. If so, he would be 35 by that time - clearly at the crossroads of his career. It could be the swan song of his NBA career, a medium most players and teams have been practicing nowadays. Chiming in another factor is what the Spurs also have in mind. While Aldridge has not exactly delivered what David Robinson or Tim Duncan were able to do in their prime, he remains a big man that can still help out any NBA team. The length of his tenure may depend on the call of Spurs coach Gregg Popovich. Seeing Aldridge return to Portland could happen as early as now if the Spurs decide to head in a different direction. That perhaps starts on whether Aldridge is dispensable at this point, Sir Charles in Charge suggested. Aldridge has had his big nights for the Spurs. But his consistency during NBA games leaves a lot to be desired and he seems to struggle without proper support from his teammates. If he does end up going back to the Blazers, he could end up teaming up with Lillard and C.J. McCollum once more. The only problem there is when and if Aldridge still has the hops to keep in step with the younger guys invading the NBA.